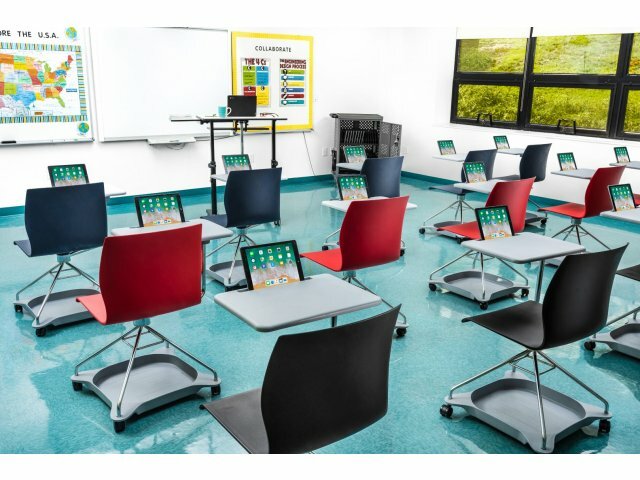 If your students are really going places, this mobile tablet arm chair is exactly what they need. 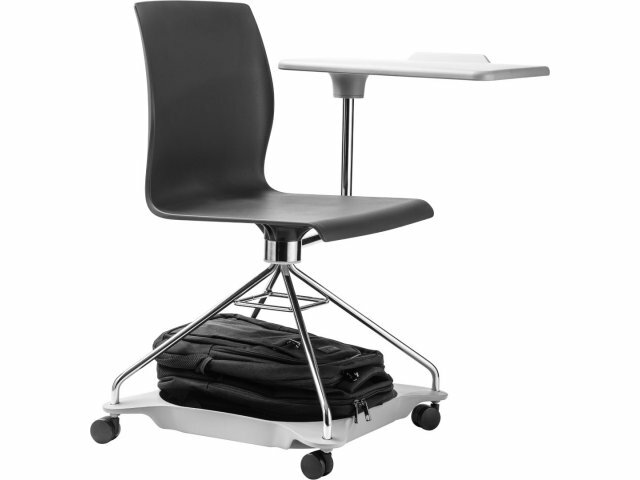 The versatile design creates a self-contained learning space, which will serve your students well, wherever they are working. 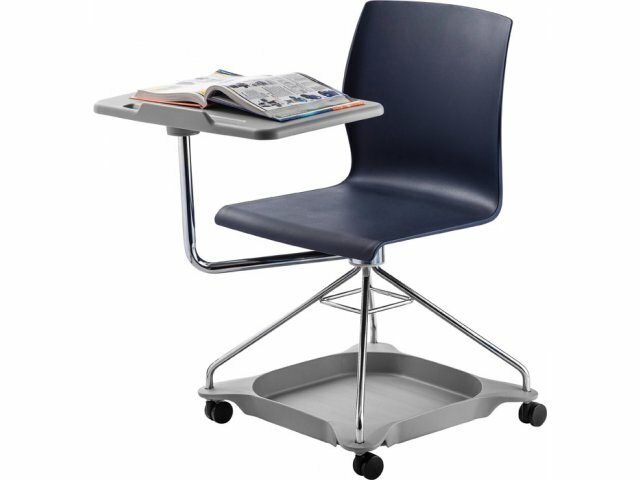 The 16-gauge steel base stands on twin-wheeled casters, with built-in storage for backpacks, books and school supplies. This means that no matter where your students are, they can easily keep everything they need within reach. This tablet arm chair has an attractive modern design. The ergonomic, fiberglass-reinforced polypropylene seat comes in a choice of attractive hues. 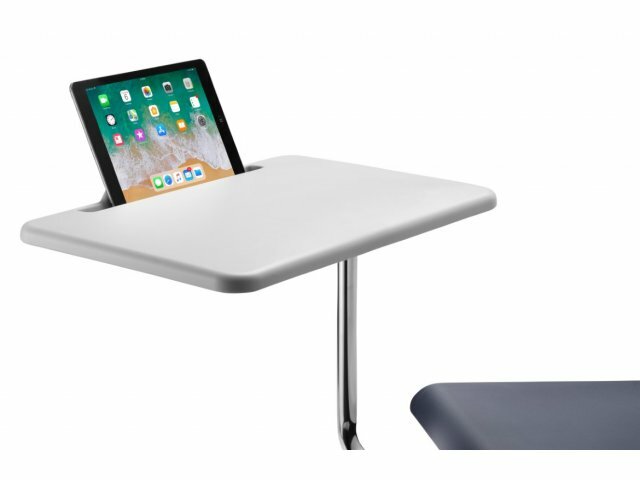 The ample work surface includes a tablet-holder, facilitating comfortable, and space-efficient positioning when working on devices. 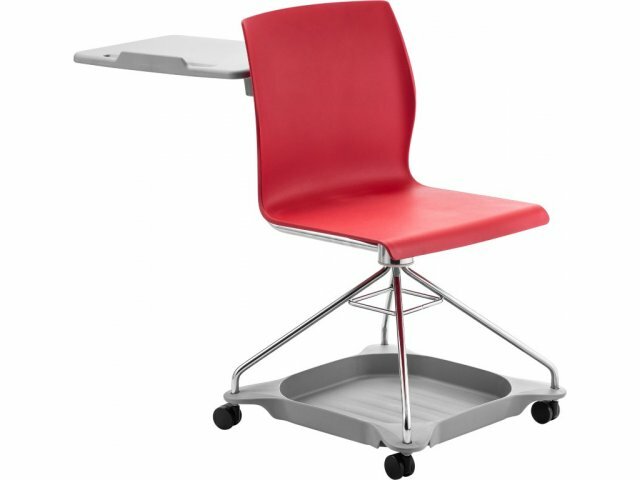 This is the perfect seating and work surface solution for any learning space. Smart Design: Large work surface includes a built-in tablet holder. 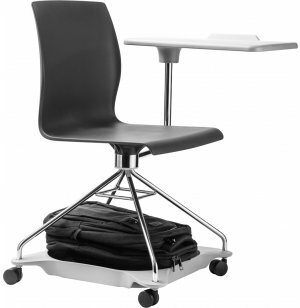 Supportive: Fiberglass-reinforced polypropylene seat has ergonomic contours. Sturdy Frame: Supported by a strong, 16-gauge steel frame. Convenient: A shelf below the seat provides accessible storage for backpacks and more. Smooth Rolling: Stands on four twin-wheeled casters.